Well after my amazing haul last week I thought I would keep it pretty tame this week! But even still I added more than I thought I would! Darn B&N coupons! 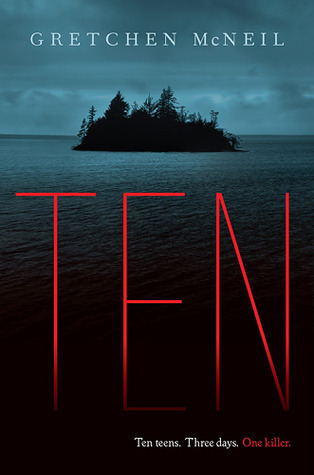 Ten by Gretchen McNeil--I enjoyed 3:59 so much I decided to pick up another of Gretchen's books and since this was the only one B&N had, it kind of made my decision easy! 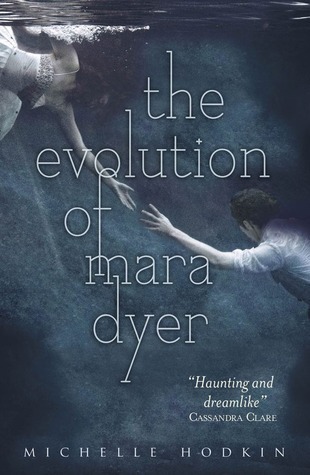 The Evolution of Mara Dyer by Michelle Hodkin--True I still need to read the first one, but again, I had a coupon! So it was hard to pass up, especially since everyone raves about this series! Have high hopes for it! Second Star by Alyssa B. Sheinmel (ARC)--True, it's going to read as a contemporary, but it's also a sort of twisted, updated version of Peter Pan. Hence my interest! Thanks Farrar, Straus and Giroux (BYR) & Netgalley! 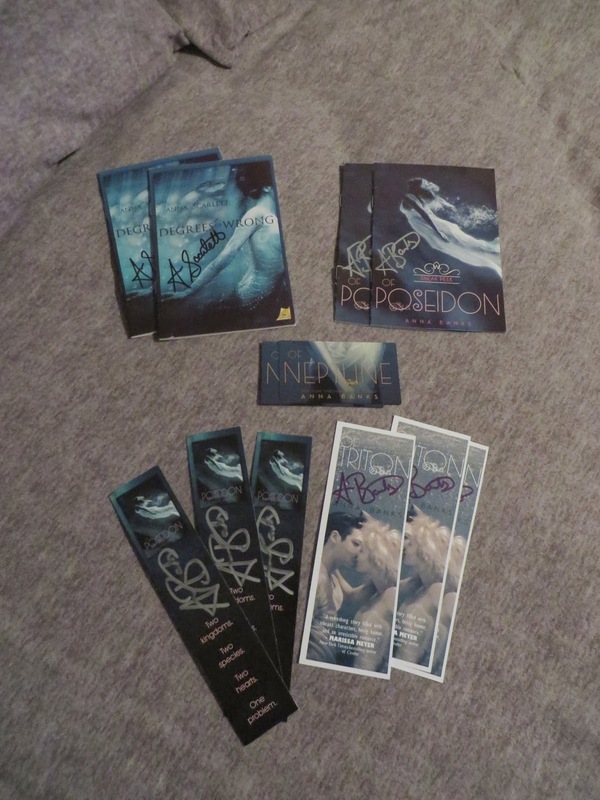 And then, Anna Banks has been having weekly contests giving away a signed set of her books up until her third one releases, sadly, I didn't win that, but I did get the runner up prize of signed bookmarks! Yay! Ten!! That book sounds absolutely amazing. Looking forward to seeing what you think of that one :D.
I just got Evolution of Mara Dyer the other day too! I hope to start that set of books next month! I've heard such great things about it!! and Yay on the swag! You can never have too much of it!! I saw Second Star, too. I thought real hard on that one... Peter Pan drew me in and the beach setting sounded so good. But it was screaming "love triangle" at me so I stepped back from the shiny cover. It was hard but I managed. It'll be interesting to see what you think, that's for sure!!!! Nice assortment of books. I'm glad I'm not the only one who buys book 2 in a series before reading book 1. Second Star is on my stack already from Macmillan. I won't get to it for a while though. Thanks for visiting my blogs. Happy reading! Nice haul! :) Ten looks good! I read the first Mara Dyer book and enjoyed it, and I have the second one from the library sitting here waiting for me to pick it up and read it already! I'm curious about Second Star, so I can't wait to read your review. The Evolution of Mara Dyer, YAY! I love Hodkin's books, and cannot wait to read the third one. Anna Banks has amazing and gorgeous swag! And she gives out swag so often, it's great. I hope you enjoy all of your new books! Nice swag! I love getting bookmarks especially when they are signed! The Evolution of Mara Dyer is not one of my favorites but it is okay. Can't wait to see your review on it. Looks like you had a great week. 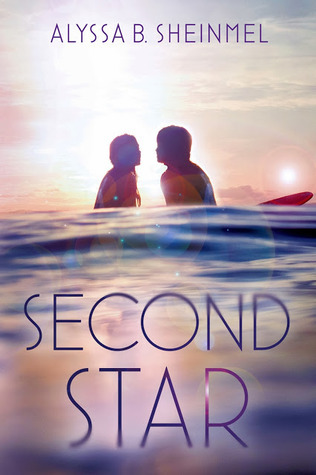 Love the cover for Second Star but haven't been able to decide from synopsis if its for me. Nice books and some great swag! :) Hope you have a great week! Yay for signed bookmarks. I always like those. You got some good books in your haul this week. Thanks for visiting me earlier. Oh I heard about these books I confess but I haven't read them so I hope you'll enjoy them all. Happy reading! Thanks for stopping by my STS! Ten was good, I liked it much more than I expected! I love the Mara Dyer books and I hope you do too! All those bookmarks look so pretty. Happy reading! yayy!!! I too have Ten and maya Dyer on my bookshelf too but i haven't read them yet.. i really want to read TEN soon! awesome haul !!! - Katie @ Inkk , old follower! I plan on getting The Evolution of Mara Dyer with my next audible credit :) Awesome haul my friend. Oooh.... Nice haul, not so crazy this week! Enjoy them all! Nice haul. Second Star is one I need to add to my shelf. I"m a little slow this week but thanks for stopping by. Lovely lot of reads. I must read some Michelle Hodkin. Ten , I have seen about but not read it . Yo have me interested in Second Star now. I saw it on NG...I think but overlooked it. I got Second Star too. A Peter Pan retelling seemed just too fun to pass up!